The racing was breathtaking Saturday night at Texas Motor Speedway – as usual – when they weren’t screwing it up. Cautions breed cautions the saying goes, but apparently the same isn’t true for red flags. Instead, the thrilling race petered out under yellow with Will Power anticlimactically taking his second win at Texas. There were accidents galore, with a dozen cars retiring due to contact. 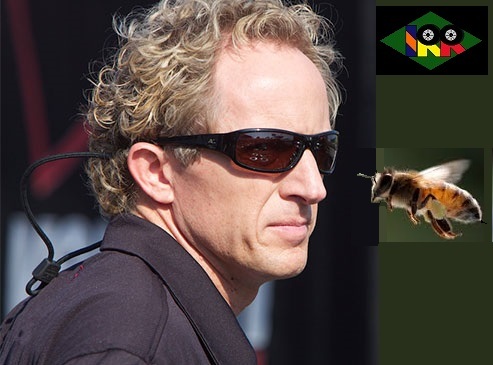 By contrast, the race saw only one mechanical when pole sitter Charlie Kimball’s Honda expired. Nine cautions flew for 66 laps including the red flag stoppage. 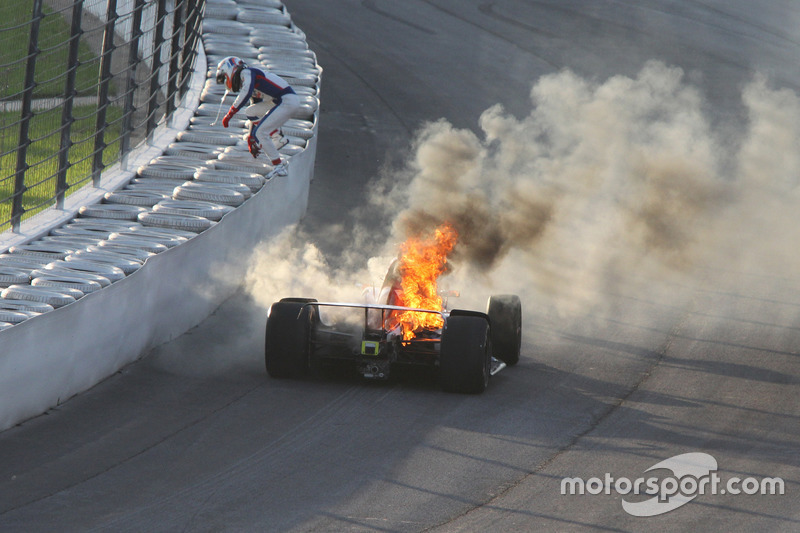 There were no fewer than seven crashes including James Hinchcliffe’s pit lane fiasco as well as six on track incidents. The race had it all. 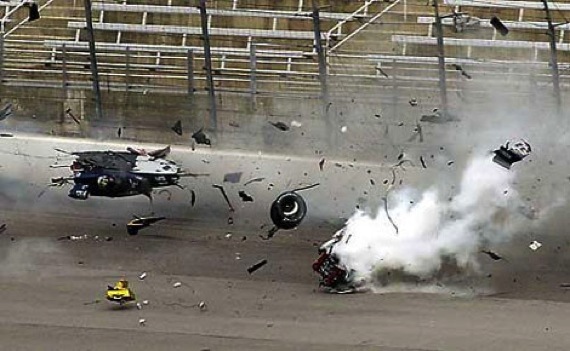 Ed Carpenter even did a 360 on a lap 102 restart, spinning on the front straight before amazingly saving his car and avoiding everyone else. Texas Motor Speedway’s 20th anniversary promises to be memorable when IndyCar arrives at the fast, recently reconfigured mile and a half oval this weekend. Expect the racing to be worlds apart from what we saw in Detroit. 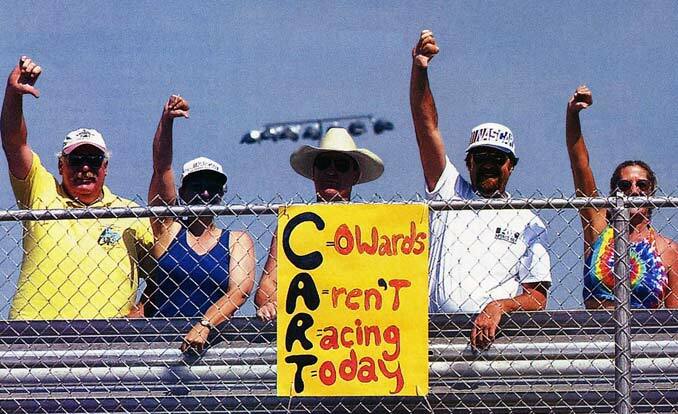 The series has held twenty eight races and counting since TMS opened, with almost all of them being extremely entertaining wheel to wheel wonderment. The repave and reconfiguration of the banking in turns 1 and 2 lessened it from 24 to 20 degrees and widened the track from 60 to 80 feet. Four time Texas winner Helio called it “completely new” and Pags called it “a different layout” after testing there in April. Honda teams were limited in their testing, with several not participating due to mileage concerns. 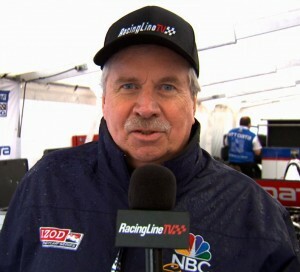 We certainly hope all these changes didn’t screw up the track or the racing. That’d be earth shattering. Like much of the spring in Texas, it rained buckets all weekend. It even continued to rain after the series packed up and left. As anti-climactic as the postponement until the end of August was, it saved the few returning die-hard fans grief and made sense in light of another weeks’ long gap in this year’s screwy schedule. Expect high speeds, plenty of passing action and lots of sparks flying on track in Texas Saturday night. As Napoleon said, “that which is large is beautiful,” and Texas Motor Speedway certainly qualifies. 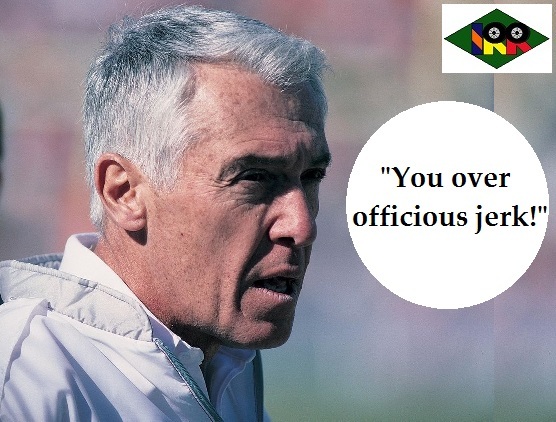 Also, there’ll be no preordained Penske parades like we saw Sunday in Detroit. In our eyes, that’s just huge. This week’s special prediction for the race is some good old fashioned, hugely entertaining oval track racing. Last year’s race was one of those rare Texas IndyCar contests that failed to fulfill fans. Caution free, Scott Dixon ran away with it cruising to an almost eight second margin of victory. Truly, Dixie did Dallas last year – in a huge way. 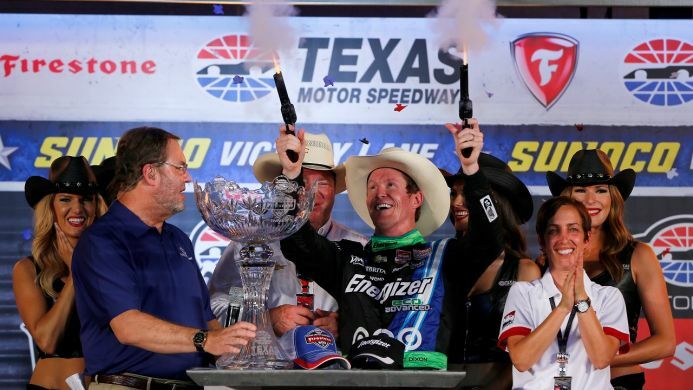 New Zealander Scott Dixon won going away Saturday night in Texas during a nearly entirely green flag race, shattering the track record with a race average of 191.9 mph. His margin of victory was almost eight seconds over Ganassi team mate Tony Kanaan in a race that lacked a dramatic conclusion but included plenty of close racing and passing if not outright speed. It was Dixon’s second win at Texas – the other back in 2008 – and he led ninety seven laps out of two hundred and forty eight. Chevy’s dominance continued, taking their seventh race out of nine. Oddly there were no crashes and only a single caution for debris all night long north of Dallas, resulting in only four cars on the lead lap at the conclusion. That said, the caution was too long as usual dragging out for over a dozen laps. The one restart saw exciting three wide racing break out on track again, though it was short lived. 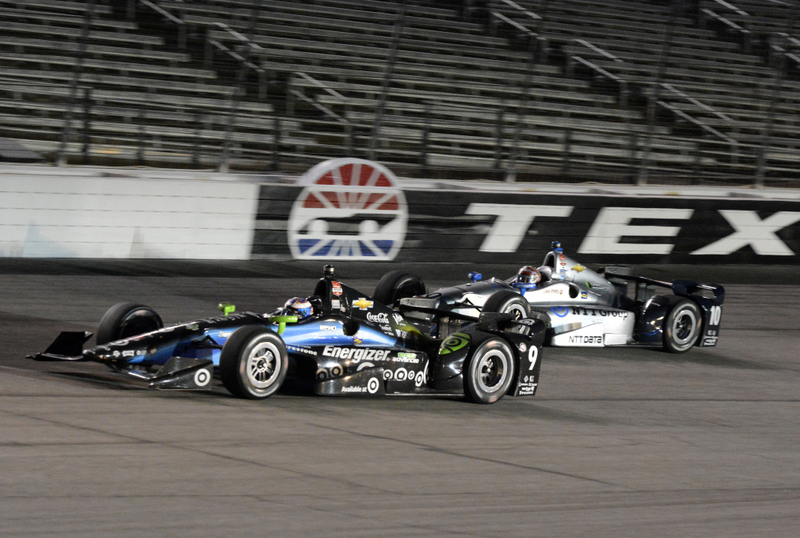 Dixon and Kanaan showed no team sympathies in their intra-TCGR battle for supremacy at TMS. Delightfully delivering up delicious dishes of daredevil driving for decades, Texas Motor Speedway’s consistently been one of the most exciting tracks IndyCar visits, a real highlight of the schedule and an all around big deal. Located north of Fort Worth and just south of Denton, it’s an area that’s been hit hard by flooding in recent weeks. Happily the floodwaters are receding and the forecast looks good for Saturday. 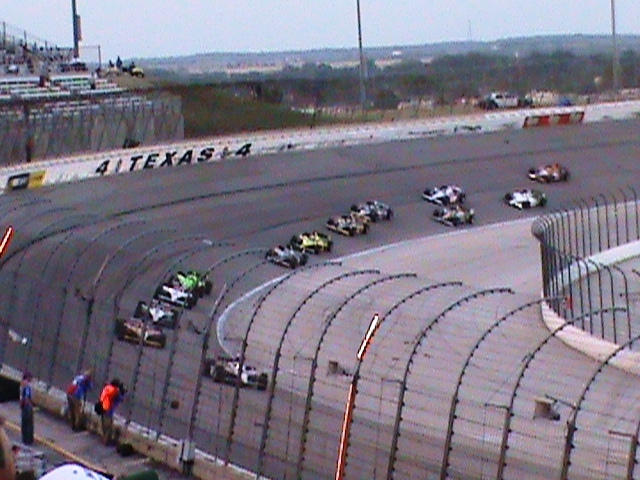 A spectacular oval staple on the schedule, TMS opened in 1997 and has hosted twenty six IndyCar races in its history, not counting CART‘s cancellation fiasco in 2001.Two visits per year were common in the good ol’ days with winning margins in the thousandths of seconds and championships regularly decided. They say in Texas everything’s bigger and both TMS and IndyCar racing there certainly measure up.